carNAVi GPS is the perfect everyday car GPS Navigation system for the Philippines, revolutionary priced and the most affordable GPS. Everyone in the Philippines should have a GPS this advanced. Our GPS navigation poducts come with preloaded GPS maps for the Philippines, Singapore and Malaysia it are ready to run out of the box, with integrated speedlimit warnings, localized routing and dual core processor (optional). As roads are developing, so do our maps. We are currently updating the 2019 map and are just still waiting for the opening of the NLEX Harbor Link and the SLEX/NLEX connector. As usual we offer just one easy to use installer that serves all models and is available for Windows and Mac OS-X. Update now to get latest roads incl. 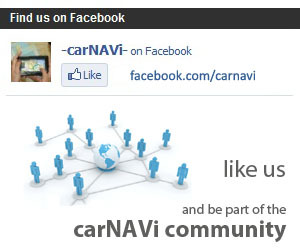 NAIA Expressway for the best navigation results with your carNAVi. NAVITEL® released an offline GPS navigation map of the Philippines. NAVITEL® – is a leading navigation solution provider for automotive navigation industries providing GPS maps for 59 countries including the Philippines. Apps for iPhone, iPad (3g), Android smartphones, Windows Phones and Blackberry Q10/Z10/Z30 are available starting only P130. No data plan needed, works with any phone with GPS. We created an overlay map of the Marikina Valley Faultine System for your carNAVi GPS. The Marikina Valley Fault System, also known as the Valley Fault System (VFS), is a dominantly dextral strike-slip fault system in Luzon, Philippines. It extends from Dingalan, Aurora in the north and runs through the cities of Quezon, Marikina, Pasig, Makati, Parañaque, Taguig, and the provinces of Laguna and Cavite. Owning a carNAVi helps you to find your destination without worry and from now on carNAVi can warn you if you overspeed – display speed limits and other dangerous road conditions. You can choose between visual alerts or voice alerts where the system speaks the current speed limit. Read more in the article how to install or upgrade your system. We believe that our after sales support is just as important as the performance of our products before sale. That’s why we offer comprehensive updates, tools and tutorials, and our service technicians are always ready to answer your questions. Click here to get an overview of all our support options.